A bit of a long piece supplied to Focus Transport from a source, but well worth a read. The election is now over. Thank goodness you might say – it went on forever and I can’t remember one that dragged on so much. All of the politicians were very negative, promising so much whilst bashing the other parties. But what was missing throughout the campaign was transport, despite each of them mentioning it in their manifestos. I suppose we should blame the media for that because it is they that set the agenda, but transport should be amongst the highest priority for people, as it affects us every single day. There were some big differences of opinion over transport, and it is interesting to review these. So, what did they say in their manifesto? I downloaded each of the main party manifestos and I’ll report on them in alphabetical order. Conservative manifesto (86 pages) The Conservatives promised to spend £5.2 billion in better transport, upgrading the M1 and M6 and electrifying the Midland Main Line. 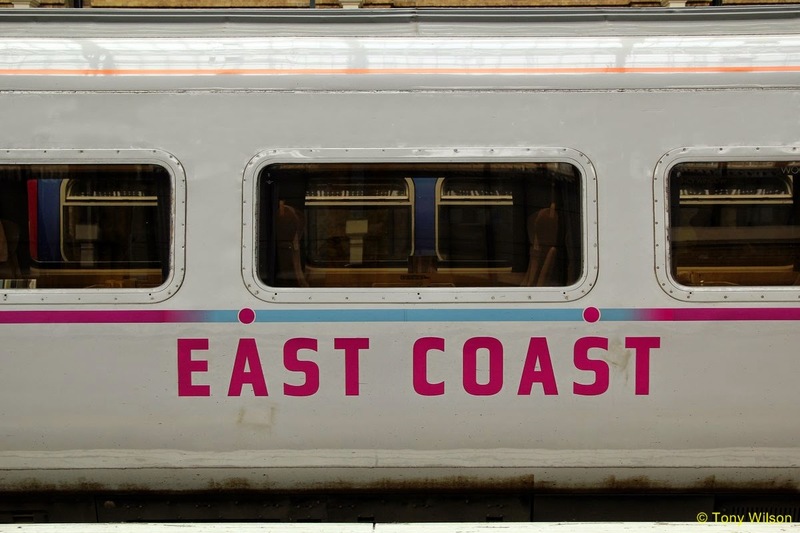 They go on to say that £38 billion will be spent on our railways in the next five years, including improvements to and from East Anglia with Ipswich in sixty minutes – today, the fastest train is one hour and seven minutes, although most trains take 73-83 minutes. They also say that they will legislate to create a directly elected Mayor for Greater Manchester, despite the city rejecting such a move in a 2012 referendum. However, a mayor would have additional powers and budgets over transport. 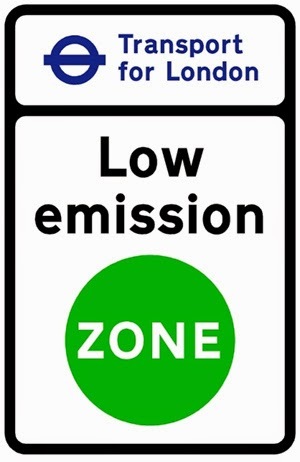 London would also "gain additional powers over planning". Electrification is a key part of their manifesto. Work is already underway or planned across parts of the north, Midlands and South Wales although, curiously, the Conservative manifesto makes no mention of the Great Western mainline electrification! It does mention that the South West and East Anglia is in line for electrification. Crossrail would have been completed regardless of the election result but the Conservatives go on to say they will push through plans for Crossrail 2 – the north/south mainline link. However, it is unlikely that construction would start before the following general election, such is the protracted planning processes. The really big ‘announcement’ on transport was High Speed 2 and High Speed 3. HS2 is, of course, very well advanced in the planning stages, although the Conservatives make no mention of the extension beyond Leeds to Scotland, despite that being the long-term aim of HS2. HS3 is the east/west high-speed link in the north of England – substantial upgrading of existing routes rather than a new-build railway, but it would save more than an hour on cross-country journeys. Rail [regulated] fares would be frozen “in real terms”, meaning no rise beyond inflation. What is interesting is that “Train Operating Companies will not have the flexibility to raise [unregulated] fares beyond this”. This is the first time I’m aware of that unregulated fares have been included in legislation, although it is not clear if the TOCs would be allowed to raise fares in one place as long as they reduce them elsewhere. Part-time season tickets would also be introduced and there would be improved compensation when trains are late. On the roads, Conservatives would invest £15 billion – £6 billion of which would be spent in the north, including dualling the A1 north of Newcastle and what they describe as, the first new trans-Pennine road capacity in forty years – whatever that means! There is no mention whatsoever about bus services, trams, ferries or boat services and, on airport expansion, they only say that they would “respond to the Airports Commission’s final report” – well, it would be pointless if they didn’t! The big story in their manifesto is they intend to renationalise the railways with the franchises disappearing at the end of the contracts. Surprisingly they do not support HS2 and do not mention HS3 nor Crossrail. They prefer the money is spent instead on upgrading the current railways, although they do not mention how this might be achieved. Another comment is also too generic to be helpful, ie they say they want to reopen lines and stations that have been closed but say nothing about where nor, more importantly, how much would be reopened. £15 billion could be saved on “ending the wasteful and destructive national major roads programme”. Part of the money saved they would spend on subsidising public transport with an average fare reduction of 10%. £8 billion would be spent fixing potholes and investing in walking and cycling spending £30 per person per year. The Greens do mention buses, for which they would support the re-regulation of services. As expected they are very anti-aircraft and would definitely not allow any new runway at either Gatwick or Heathrow and would end the favourable tax treatment for aviation, together with a ban on night flying, although they do not say what times this would be. They want to tranship van deliveries so that the last mile or so is made by electric vehicles or cargo bikes and would invest in electric charging points for buses and taxis. They would introduce 20 mph zones in all built-up areas including main roads and 40 mph on rural roads, as well as reducing the drink-drive limit to virtually zero. A greater duty of care would be put onto drivers who would be presumed liable for any injury to pedestrians or cyclists howsoever caused – a driver would be liable if a drunk pedestrian fell into the road, although “compensation would be reduced!” They would also reduce parking spaces, especially within new developments and any parking charges would be proportionate to providing that facility. More road-pricing schemes would be introduced, similar to London’s Congestion Charge, and there would be road-user tolls for heavy lorries. They also suggest reducing lorry activity and road freight volume by improving rail freight services, reducing the number of empty or partially loaded trips. Again they fail to mention how this might be achieved. Labour devote by far the least space for transport issues in its manifesto with very little to report. They do say that they would provide more public control over the railways but stop short of renationalising them. They would review the franchising processes and would introduce a new National Rail body to oversee the plan for the railways. 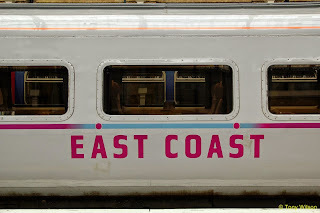 Labour would legislate so that a public sector operator could bid for rail franchises, which would be run similar to East Coast Railway before Virgin took it over recently. Labour would also freeze rail fares for just one year. 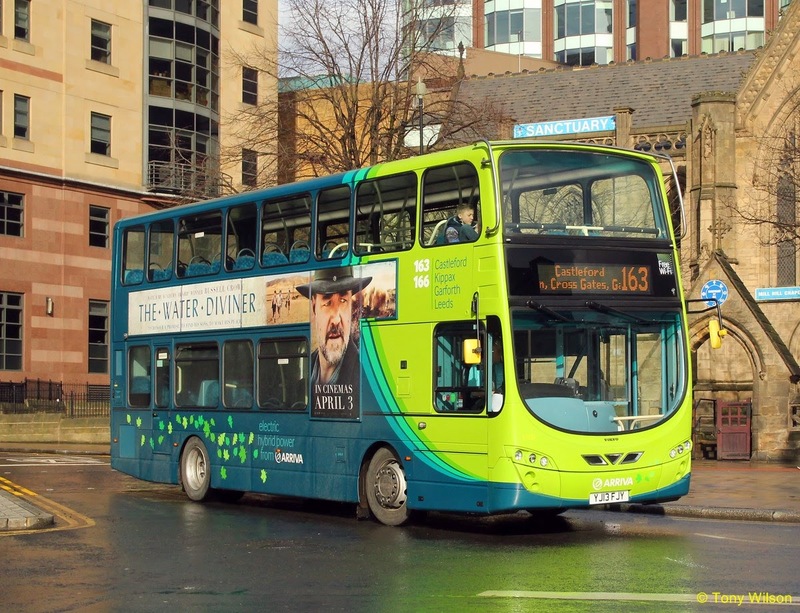 City and county regions would be given greater powers over bus services in their area, allowing them to decide on fares, routes and timetables. The Lib Dem’s would develop a comprehensive plan to electrify the overwhelming majority of the UK rail network, reopen smaller stations, restore twin-track lines to major routes and proceed with HS2, as the first stage of a high-speed rail network to Scotland. The reopening of the railway link between Oxford and Cambridge would be completed, triggering up to five major new settlements along the route, which they describe as the ‘Garden Cities Railway’, although no mention where these new towns would be. The Lib Dems were the only party to mention trams saying “We will encourage Local Authorities to consider trams alongside other options, and support a new generation of light rail and ultra-light rail schemes in towns and cities where local people want them”. They say they would work with the private sector to develop rail-freight terminals and rail-connected distribution parks as well as setting a clear objective to shift more freight from road to rail. They also say they remain opposed to any expansion of Heathrow, Stansted or Gatwick and any new airport in the Thames Estuary. They would ensure that there would be no net increase in runways across the UK. However, they say they will carefully consider the conclusions of the Davies Review into runway capacity and develop a strategic airports policy for the whole of the UK in the light of those recommendations. On bus issues the Lib Dems say they would carry out a review of bus funding issues and bring forward plans to regulate bus services in areas that want to. They would also help bus companies trade in older, more-polluting buses for newer low-emission ones, although they say nothing about whether this is smaller companies, big ones, or both. I would not normally give space to parties that represent only a small minority area of the UK but the SNP are going to have a major impact on English issues following this election. However, the SNP say very little on transport issues. Their full transport statement is as follows…. We will seek adequate transport infrastructure investment, with a particular aim of improving transport and communication links across the north of these isles. 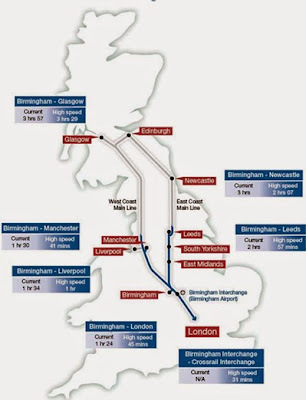 That includes connecting Scotland to HS2 as a priority, with construction beginning in Scotland as well as England, and a high speed connection between Glasgow, Edinburgh and the north of England as part of any high-speed rail network. UKIP start with a long diatribe against HS2 saying HS2 is running out of control and they will stop this flawed vanity scheme in its tracks. They go on to say that costs will never be recouped; that the Government has not made a convincing case for it; that there is barely any evidence it would reduce the north-south divide; it would wreck irreparable environmental damage across large tracts of central England; and that it is an unaffordable white elephant. However UKIP say absolutely nothing else about railways – no alternatives and no ideas how rail capacity issues can be sorted. On airports they say they would consider the Davies Commission report when it is issued but say that their solution is to reopen Manston Airport for low-cost airlines and freight-only flights. 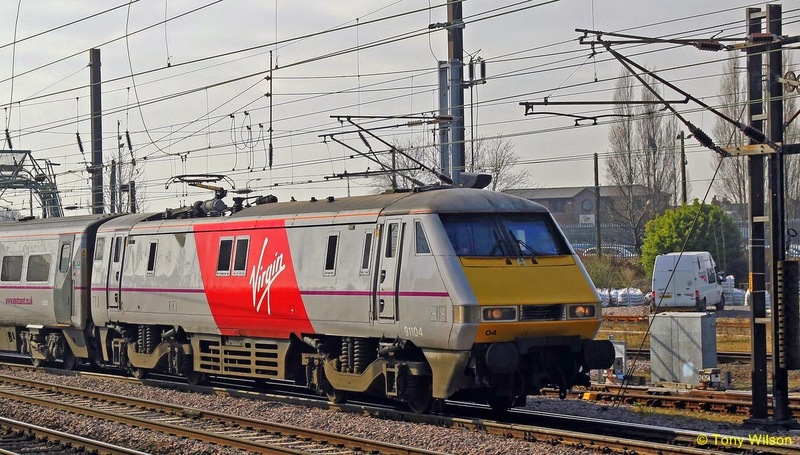 They say it is close to the rail network with good connections to Ashford International and would release additional capacity in the region, taking pressure off other airports. UKIP want to end all road tolls. They are also the only party to mention eCall, which apparently has to be fitted to all new cars from October 2015. This is an EU initiative and, of course, UKIP object to this system, which is the first stage of a European-wide road-pricing scheme by tracking vehicles via GPS. UKIP say that “the Driver Certificate of Professional Competence (DCPC) is an expensive second-tier requirement, which is causing job losses, because of the added administration and expense to hauliers. 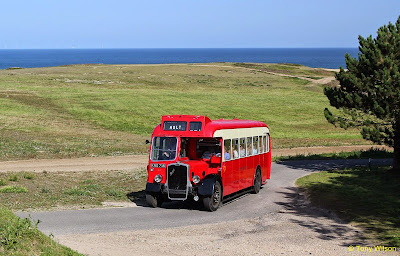 We will scrap the DCPC for professionally licensed drivers.” Many drivers of classic buses have given up driving because of this expensive test, which has to be retaken every five years, so scrapping it would very much help bus museums and heritage bus operations such as that at the Epping Ongar Railway. Interestingly UKIP specifically mention classic cars and would scrap Vehicle Excise Duty on cars over 25 years old, and presumably apply to classic buses too but UKIP don’t specifically mention them.